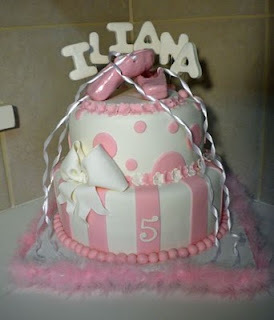 This cake was for Iliana's 5th birthday. 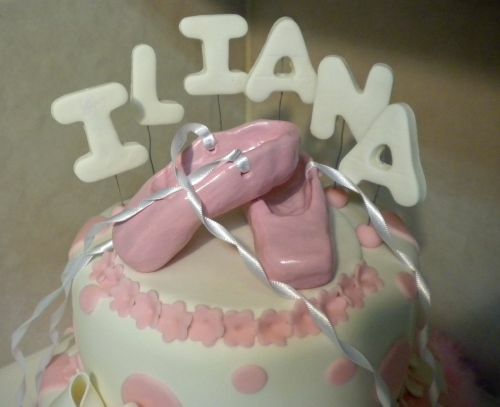 Her mom wanted toe shoes on the top. 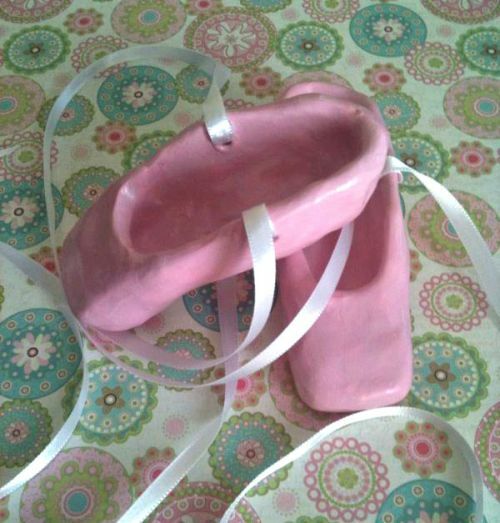 I looked everywhere and couldn't find any so my mom made these out of modeling clay. 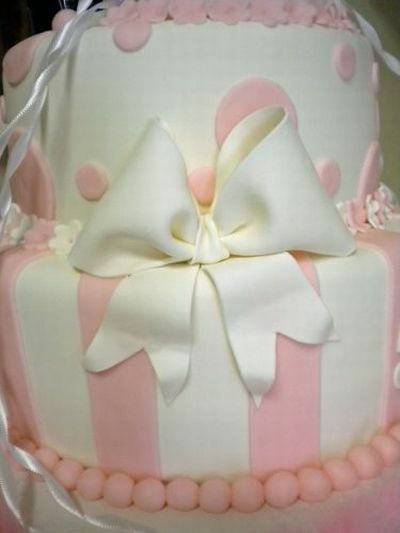 The top layer is strawberry and the bottom is yellow cake. Filled and iced with buttercream. Covered in Satin Ice fondant with marshmallow fondant accents. 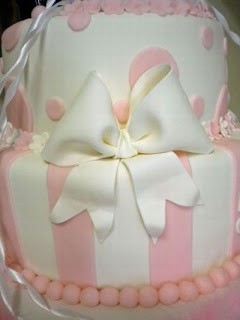 The bow and the name on top are made with gumpaste.